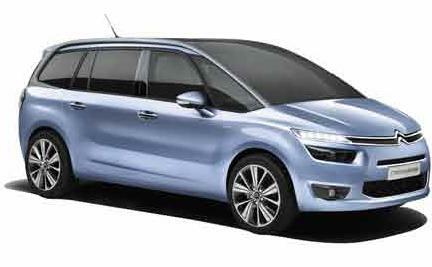 Citroën C4 Grand SpaceTourer provides flair and flexibility for 7, from its huge sweeping panoramic windscreen to its beautifully finished interior. Designed to capture the imagination, the sweeping lines and arching curvature - from the panoramic windscreen and roof to rear spoiler - are crafted with innovation and character. The Citroen C4 SpaceTourer and Grand C4 SpaceTourer redefine the MPV in all the ways that matter, so naturally they must be models of environmental efficiency, with ultra-low emissions, stand-out fuel consumption and recyclable materials.